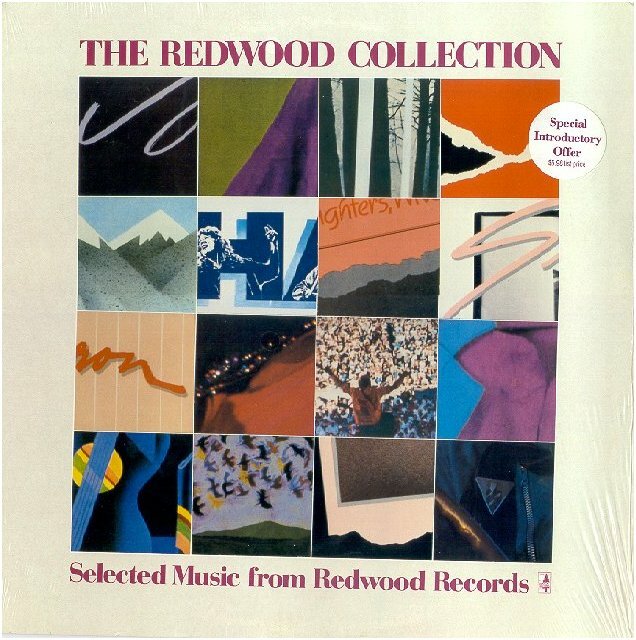 Above, from 1980, the earliest compilation I know of with a live Ferron performance ("Ain't Life a Brook"). 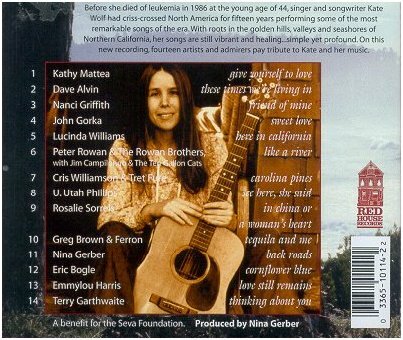 The album also contains songs by Holly Near and Sweet Honey In The Rock. 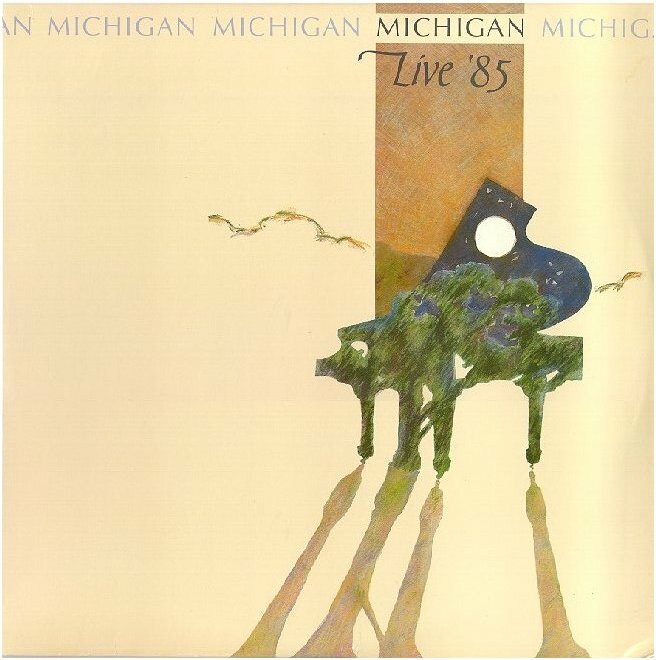 Below, "Michigan Live '85," obviously from the Michigan Womyn's Music Festival, has a delightful duet on "Ain't Life a Brook," partly in French, with Lucy Blue Tremblay. 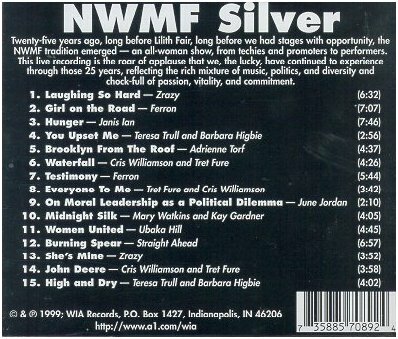 Another great festival series is the National Women's Music Festival. 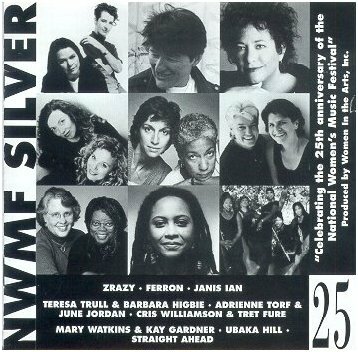 Their 25th anniversary CD captured Ferron doing "Testimony," and many other great artists. 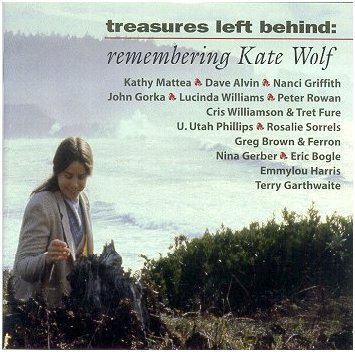 Many fine artists were attracted to the project honoring Kate Wolf, featuring another rare duet by Ferron, with Greg Brown on Kate Wolf's song "Tequila and Me," from 1998. 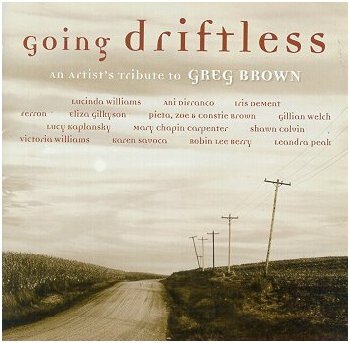 Below, Greg Brown got his own tribute album, "Going Driftless," (2002), with another stellar cast. 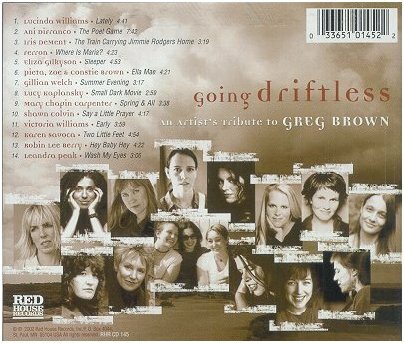 This time Ferron did Greg's "Where Is Maria?" 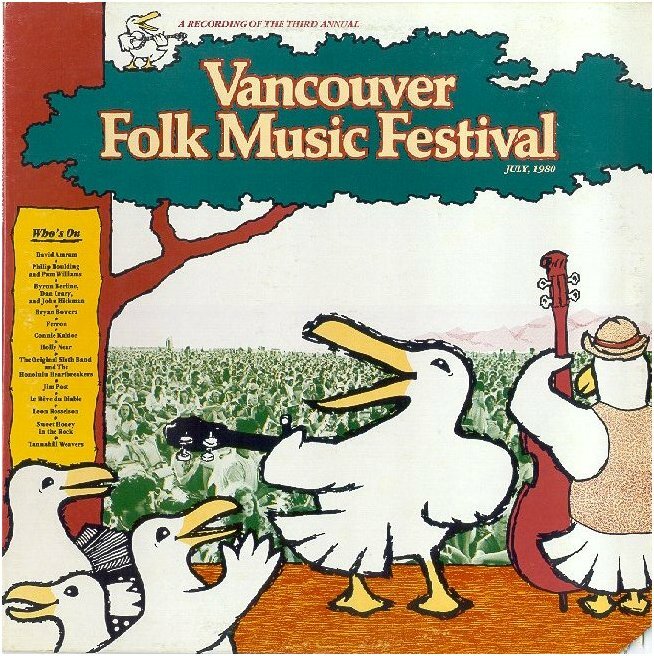 Ferron was one of his main artistic influences. 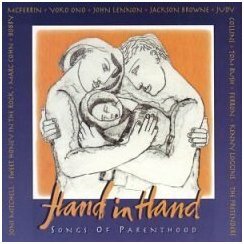 "Hand In Hand - Songs Of Parenthood"
"hu H CD Volume 15"
I have almost no info on this 1995 CD I saw listed on eBay, except that it contains the song "Stand Up." 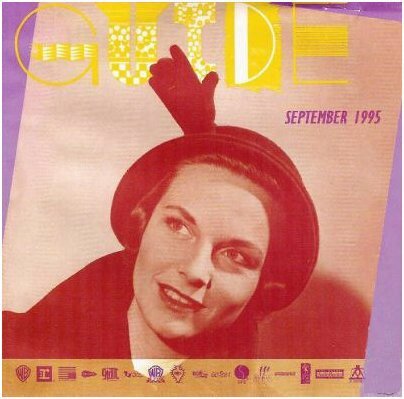 The series may have been sponsored by "hu H Magazine." If you have more info, let me know. 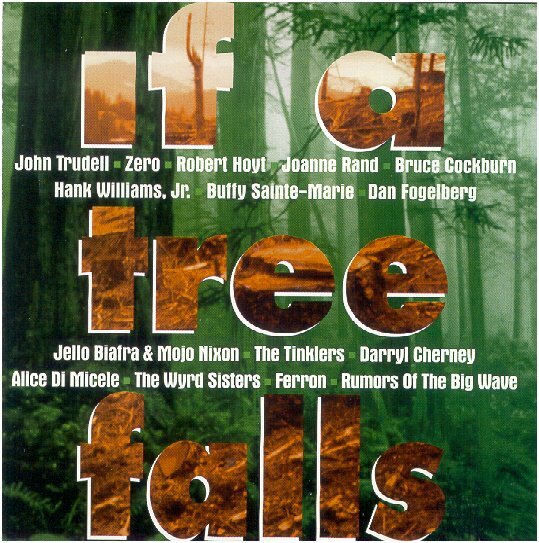 All star Various Artist benefit CD to save the Redwoods features rare tracks from Steve Kimock and Zero, plus Earth First! 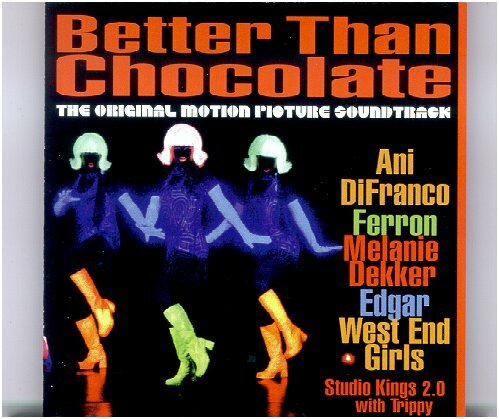 activist (and co-producer of this CD) Darryl Cherney. 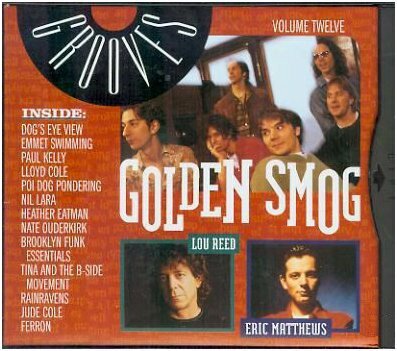 Who would have expected Rhino to issue the wonderfully blatant "Lesbian Favorites"? 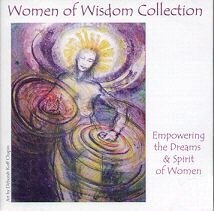 It included "Call Me," taken from "Driver"
"Women of Wisdom Collection" 2002 release "Empowering the Dreams & Spirit of Women." 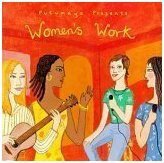 Renaissance City Women's Choir (Pittsburgh, 1999) "Sing Out Women A Tapestry of Song"
Voices: Lesbian Choral Ensemble (Oakland, CA, 2008) "On the Record"
Soromundi: Lesbian Chorus of Eugene (Eugene, OR, 2004) "Circle Me Sisters"
Deep C Divas (Yorkshire, England, 2002) "In at the Deep End"
I'm sure there are more. Please let me know so I can list those as well. Email me.